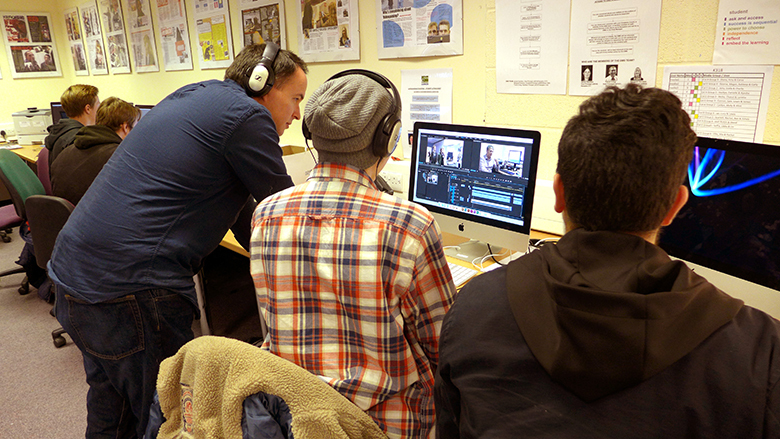 Media Studies students at The Sixth Form College, Solihull received a masterclass in Media Documentary making last week. Andrew Pearsall, Course Leader for the Photo Journalism course at the University of South Wales, visited the College to deliver the masterclass to first year A level students. It involved a crash course in Photography and will significantly aid students with their own documentaries, which they will be completing for their course. The documentaries this year focus on issues like, The Price of Food, Binge Drinking, LGBT Representation in the Media, and The Obsession with Gaming. Students are at the first stage of editing and Andrew was able to speak to the students about editing techniques to do with sound and visual representation.